Today we are looking at Jaffa Caked Cookies. This cross of Tangie and Phantom Cookies is a hybrid strain that has been growing in popularity across the UK. Phantom Cookies is Grandaddy Purple X Cherry Pie, and as you’d expect, this brings pain-relieving hybrid genetics to the table. Tangie is DNA Genetic’s strain designed to emulate the original Tangerine Dream of the mid-90s, with a strong orange taste. 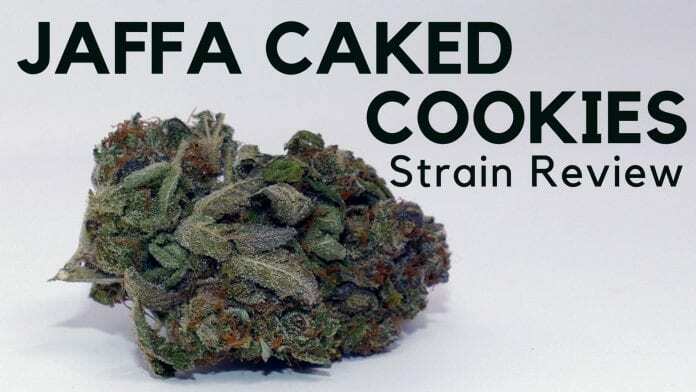 Jaffa Caked Cookies was bred by London Dank in collaboration with Cookie Monster, and released on the FrostedLondonDank Label. The sample of Jaffa Caked Cookies looks great – delicious nugs covered in trichomes, with vibrant orange pistils and even some purple hues! 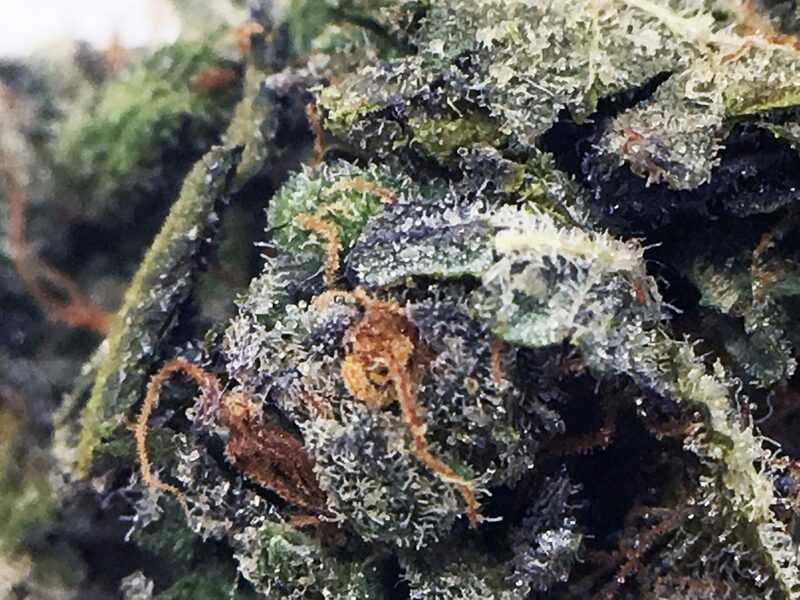 It’s got that complexity that I love in the Casey Jones cannabis strain – different colours and hues give this bud a lovely tint that almost seems to shift with the light. The bud sample is well developed, but maybe a little looser looking than it feels – it doesn’t have as much squeeze as I expected. Despite a few bases of leaves remaining on the bud they are also covered in trichomes. The smell of this sample captures a mixture of the Tangie and the Phantom Cookies. The strong – almost artificial due to too many cleaning companies being overzealous with the limonene – smell of Tangie can still be smelt in Tangie crosses, and this is no exception. Mixed in are the sweet notes coming from the other side of its lineage. When I break apart and grind up the bud a pungent aroma is released, adding to the overtly orange-scent and giving me an idea why this strain was named Jaffa Caked Cookies! I tasted the Jaffa Caked Cookies through my Weed Star Wasabi-line bong and through the Arizer Air 2 Vaporizer. Smoking this in the bong, I get a full idea of the flavour profile along with a fair bit of power. The taste the Jaffa Caked cookies is apparent during the exhale, with the orange notes being most apparent. It also has a sweet taste, and is very moreish! I quickly loaded a chamber of Jaffa Caked Cookies into my vaporizer once the bong had been finished. Initially, the vaporiser had a fresh, kind of menthol effect (i.e. opening my airways), but this disappeared into a sweetness and citrus notes. 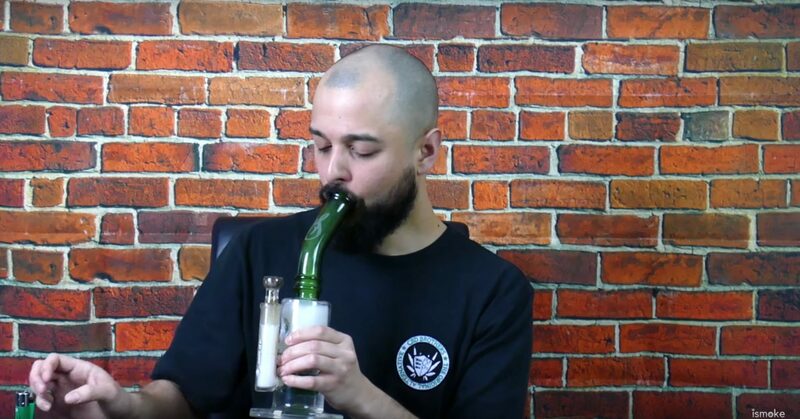 Of course, I had to follow this up with a second bong, which was just as enjoyable as the first! 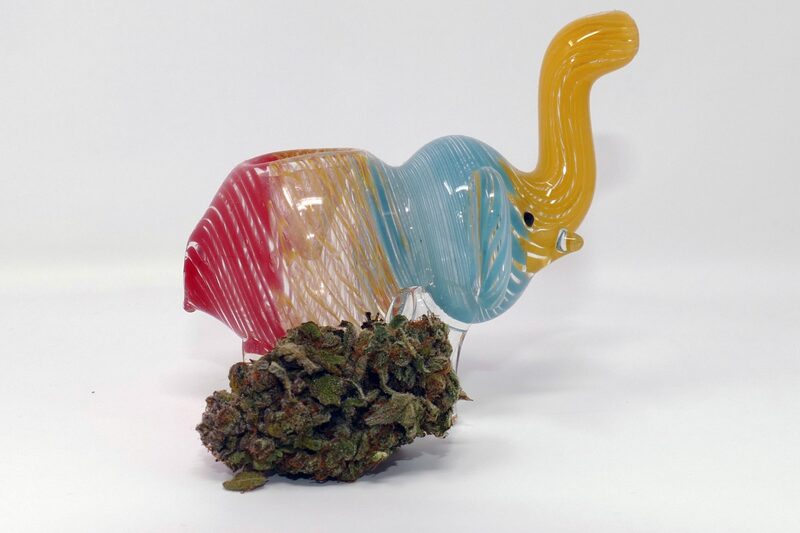 The effects of this strain should not be underestimated – during the review, I consumed two bongs and a vaporiser and I was certainly feeling the effects of this one from about 5 minutes into the first smoke. The high feels like it is on the sativa-dominant hybrid side, with a mixture of spangling cerebral effects (slurring words, losing train of thought), and the body relaxation that chilled me out. I liked the effects of the Jaffa Caked Cookies and say this could be consumed as an optimum smoke for the evening time (maybe not too late in the evening due to the cerebral power) or at weekends. Overall, the Jaffa Caked Cookies has been one of my favourite strains to cover on the channel. Everything from the appearance to the smell, taste and effects were all on point, and that led to an incredible smoking experience. I could get used to this one, and hope to cover it on the channel again at some point in the future.